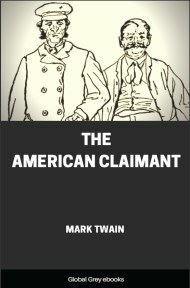 Featuring Tom Sawyer and Huckleberry Finn in a parody of adventure stories like those of Jules Verne. 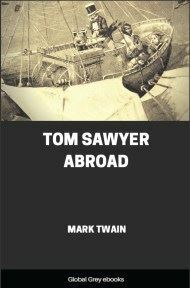 In the story, Tom, Huck, and Jim travel to Africa in a futuristic hot air balloon, where they survive encounters with lions, robbers, and fleas to see some of the world's greatest wonders, including the Pyramids and the Sphinx. 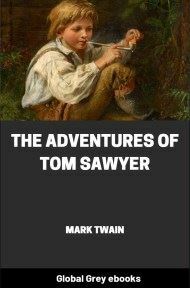 DO you reckon Tom Sawyer was satisfied after all them adventures? I mean the adventures we had down the river, and the time we set the darky Jim free and Tom got shot in the leg. No, he wasn’t. It only just p’isoned him for more. That was all the effect it had. You see, when we three came back up the river in glory, as you may say, from that long travel, and the village received us with a torchlight procession and speeches, and everybody hurrah’d and shouted, it made us heroes, and that was what Tom Sawyer had always been hankering to be. Well, I don’t know; maybe he might have been satisfied if it hadn’t been for old Nat Parsons, which was postmaster, and powerful long and slim, and kind o’ good-hearted and silly, and bald-headed, on account of his age, and about the talkiest old cretur I ever see. For as much as thirty years he’d been the only man in the village that had a reputation—I mean a reputation for being a traveler, and of course he was mortal proud of it, and it was reckoned that in the course of that thirty years he had told about that journey over a million times and enjoyed it every time. And now comes along a boy not quite fifteen, and sets everybody admiring and gawking over HIS travels, and it just give the poor old man the high strikes. 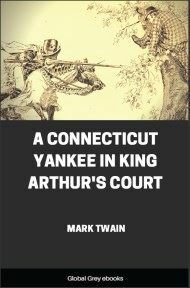 It made him sick to listen to Tom, and to hear the people say “My land!” “Did you ever!” “My goodness sakes alive!” and all such things; but he couldn’t pull away from it, any more than a fly that’s got its hind leg fast in the molasses. 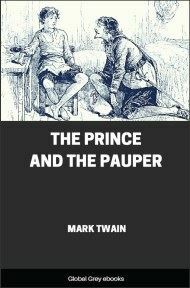 And always when Tom come to a rest, the poor old cretur would chip in on HIS same old travels and work them for all they were worth; but they were pretty faded, and didn’t go for much, and it was pitiful to see. And then Tom would take another innings, and then the old man again—and so on, and so on, for an hour and more, each trying to beat out the other. You see, Parsons’ travels happened like this: When he first got to be postmaster and was green in the business, there come a letter for somebody he didn’t know, and there wasn’t any such person in the village. Well, he didn’t know what to do, nor how to act, and there the letter stayed and stayed, week in and week out, till the bare sight of it gave him a conniption. The postage wasn’t paid on it, and that was another thing to worry about. There wasn’t any way to collect that ten cents, and he reckon’d the gov’ment would hold him responsible for it and maybe turn him out besides, when they found he hadn’t collected it. Well, at last he couldn’t stand it any longer. He couldn’t sleep nights, he couldn’t eat, he was thinned down to a shadder, yet he da’sn’t ask anybody’s advice, for the very person he asked for advice might go back on him and let the gov’ment know about the letter. He had the letter buried under the floor, but that did no good; if he happened to see a person standing over the place it’d give him the cold shivers, and loaded him up with suspicions, and he would sit up that night till the town was still and dark, and then he would sneak there and get it out and bury it in another place. Of course, people got to avoiding him and shaking their heads and whispering, because, the way he was looking and acting, they judged he had killed somebody or done something terrible, they didn’t know what, and if he had been a stranger they would’ve lynched him. So he did it. He had a little wee bit of steamboating, and some stage-coaching, but all the rest of the way was horseback, and it took him three weeks to get to Washington. He saw lots of land and lots of villages and four cities. He was gone ‘most eight weeks, and there never was such a proud man in the village as he when he got back. 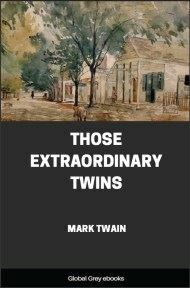 His travels made him the greatest man in all that region, and the most talked about; and people come from as much as thirty miles back in the country, and from over in the Illinois bottoms, too, just to look at him—and there they’d stand and gawk, and he’d gabble. You never see anything like it. Well, there wasn’t any way now to settle which was the greatest traveler; some said it was Nat, some said it was Tom. Everybody allowed that Nat had seen the most longitude, but they had to give in that whatever Tom was short in longitude he had made up in latitude and climate. It was about a stand-off; so both of them had to whoop up their dangerous adventures, and try to get ahead THAT way. That bullet-wound in Tom’s leg was a tough thing for Nat Parsons to buck against, but he bucked the best he could; and at a disadvantage, too, for Tom didn’t set still as he’d orter done, to be fair, but always got up and sauntered around and worked his limp while Nat was painting up the adventure that HE had in Washington; for Tom never let go that limp when his leg got well, but practiced it nights at home, and kept it good as new right along.